Transactions actually work, and they include save-points. All of these don't make sense for a non-java coder. And my startup time for grails would have be much longer without my prior experience with Rails and Ruby. One thing I thought I might be giving up was the endless list of valuable gems that make developing in Rails a real pleasure. But after re-reviewing the list of open source products from apache, java source, spring, hibernate, and even Sun (glassfish), I can't think of any gems that I will miss. I originally created an IBBUser domain model. Ok, I should probably re-name it IbbUser but old habits die hard. Anyway, the model generation went fine, but when I went to create the controller using generate-all, that's when things fell apart. Working with generated code in grails or rails can get out of hand quickly--so many files and folders to track. So I set up branches--one for domains, the other for controllers. Before generating code, I quickly go to the appropriate branch, generate and test the code, do multiple commits then merge it to the master branch when I'm sure things are working as they should. If not, it's easy to revert or even delete the entire branch and start over. Database Configuration: Out of the box grails configures the application for hypersonic. To configure MySQL requires three steps: 1) create the development, test, and production databases and login permissions, 2) modify the conf/DataSource.groovy configuration, and 3) drop the MySQL connector/j jar into the project's lib folder. When this is complete simply do a 'grails run-app' and you will see the new tables appear in the database. The project at this point has only a single domain class, User so a single table is created called 'user'. All columns were created including an 'id' and 'version' column. Without any constraints, all columns default to 'not null'. I prefer the rails convention of plurals and lock_version, but I'll leave that for now. Groovy is Java, and Groovy makes Java groovier. Compared with other languages, Groovy is certainly the language that provides the flattest learning curve to Java developers, thanks to a very similar syntax. I would add that ex-java programmers that have moved to ruby will love groovy. Closures, interactive shell, access to all your current java libraries, built in ORM, and lots of other goodies. I have been using subversion for Flex2 projects since it was released in 2006. I use the full version because I had problems getting the eclipse plugin to work. But I had other problems with the full Flex2 IDE as well. One problem was there is no facility to exclude files from the build path. So, all of my .svn files get copied from the src folder to bin. Permission problems also don't allow me to do a "clean" through the Flex2 IDE. Bad. Very bad. Note: this would have been a bit easier to just use git-svn clone but my mac is missing the perl bindings required for git-svn. The Git Server: Next was to create a --bare copy and transfer it to my git server at slicehost. First the clone. Then on the server, simply move this to the git directory and fix the permissions. And test on the client side with the following and the new project is loaded to the client. After getting used to git I plan to move all projects there. If I can find the perl hooks, I'll probably use git-svn at least the the older (Sun) projects. I spent some time today to convert all my on-going projects to Rails 2.0. Not a huge effort, but here are my notes. With the six gems now freshly compiled I put them into a tarball and moved them to a distribution point. Then I wrote a short script to untar and install locally (sandbox/rails/gem-install.sh). That made it easy to update all of my machines, including slicehost. (I did have a problem on one of my older machines. I had to modify the script to load the gems one at a time). Next were the tests. I was able to get all projects to test without errors. I created a small demo project to make sure that was working as well. Before getting started with git, first thing is to establish some global configurations. The standard configs are saved in ~/.gitconfig (currently in config/common). There is also a ~/.gitk config file that should be modified for the mac (put in config/osx/sedona) to set the font to Monaco 12 rather than Helvetica 9. Using Git: There are tutorials for using git on the main site and one for subversion users. After the installation, I used the tutorial to establish tracking to some basic accounting files, time sheets, check register, etc. It started like this. Now the accounting directory is under source control. Another great resource for git is from peepcode. Then I created my first project on both machines. Since this is the first application in this project, there are a bunch of dependency files that need to be downloaded. Sprout gives a good visual indication of what it's doing, so it was not a problem. Once the basic projects were created, it was time for the initial test. So now that I have a project framework, next is to see how it works with the Flex/Eclipse IDE (flex 2 on my mac only). This wasn't as I hoped. The generated structure doesn't play nice with Flex's vision of projects, i.e., there is a single level project where src, test, assets, css, and lib reside. but, on the same level are script, rakefile.rb and bin. What flex tries to do is grab all the files and copy them to the bin folder--not good. So, I'm hoping that future versions, or possibly a custom template configuration will solve the Flex IDE problem. In any case I'm looking forward to following the progress of the sprouts. I downloaded and installed the linux version (fedora 7) and tried out a few of the examples. The first was a classic hello world app. Simple, fast compiler, but with Flex/Flash now open source, I don't think there is a compelling reason to use haxe. First off is to get registered with google to get an access key. Second was to place this in a secure location so that it can be used, but not seen by others. So I created a simple google.rb script to house this and other login creds. It's stored in the home directory of what ever server I'm currently on, so easy to get to but out of view from the web space. The search results from google is in XML format, so populating the address object with the correct values requires parsing the results. For this I created a KmlParser class. 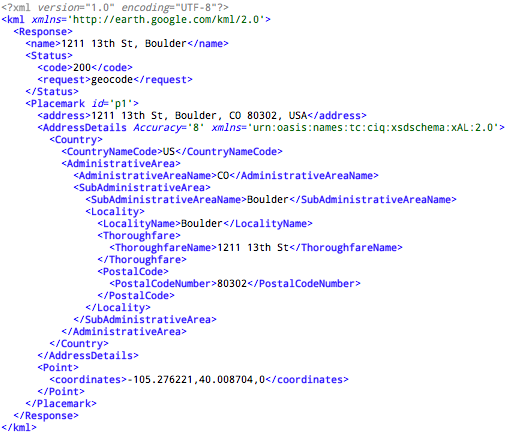 The KML schema supports multiple addresses, county, altitude, and other attributes. Here is the google output response to the previous query. We actively support OpenID for our open source products that require login authentication. Most applications don't require rigorous authentication, so presenting a simple dialog with only open id uri works fine. The dialog above allows the user to access an open id application or register for a new open id account. The registration process takes the user to an open id provider, such as MyOpenID. The backend, rails in this case uses the access uri to discover the provider and confirm the authentication, i.e., log the user in. Using open id for your applications means that you don't have to store, or protect the user's password. It also lets the user access many applications with a single password. But sometimes an application, or a specific process within an application requires further authentication. That's where the authentication dialog comes in. The dialog above presents an input and set of images. The input accepts the user's challenge code and the images are part of a group configured by the user. Only one of the images is the correct one, so if the user enters the correct challenge code and clicks on the correct image, access is granted. Look ma, no passwords! So where does this challenge code come from? Well, during the registration process the user selects the method of delivery for the challenge code. The options are sms, email, pager, or a discrete application. The challenge code itself is a random set of characters with a minimum of ten characters (all numeric for pagers). For email a complex uuid is used so copy/paste is usually required. I'm working on a new project that was intended as a large scale demo for the flex2rails library but has grown into it's own beast. This article discusses the thinking behind the database design for time tracker. The image to the right is the full schema for time tracker as of version 2007.11.29. I'll start with the basic business requirements to explain the entities. support ad-hoc user attributes such as skill level, job title, etc. There are two basic entity groups: user, contact and company related and project related. Lets start with the users. Users: The users table is configured for open ID. it contains and open id URI, and email and optional name. There is also an access_key column that will be used to continue login sessions across multiple applications, similar to a session id, but more flexible. Bit flags, defined in the model, include active, admin, banned, etc. An associated table is user_attributes. This is used to store ad-hoc values such as job title, rolls, etc. You will notice that there is no password or password_hash column. We use open id so don't require storing passwords in the user table. But, if we did store passwords, the last place to do it is right along side the access/user code, or even in the same database. So, if we ever have a need to actually store passwords, it would be in a separate database similar to a unix shadow file. Contacts: Entries into to contacts table may or may not be associated with users, typically they are. Examples include project members, coders, etc. or customer contacts, managers, etc. But, some customers are not registered users so they are not associated with the user table. Other contacts may be virtual, such as "bill to" or "ship to". Contact methods define ways to communicate with a contact such as phone numbers, email addresses, sms, chat handles, etc. Contacts may also be associated with zero or more mailing addresses that include physical coordinates. Companies: Company rows may exist on their own but more typically they are associated with (and owners of) projects, have contacts, addresses, etc. Each project must be associated with a company, typically the client/customer. Projects: Projects are associated with a companies and can have project tasks and project members. Projects can also themselves be associated with other projects as a sub-project. Project members are registered users. Projects typically have a start date. Project Tasks: Project tasks belong to projects and users and have a single task type. Tasks have a start date and due date and optionally number of hours bid. Time Sheets: Time sheet entries are created by users to log time spent on project tasks. Logged time includes a start time and number of hours. There is also a single activity type associated with each time sheet. Activity types are user defined and typically include design, coding, debugging, testing, etc. 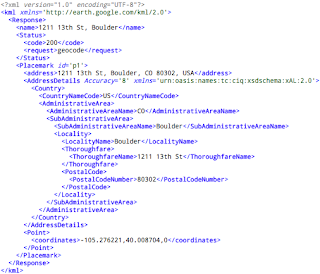 So this is a quick tour of the Time Tracker database schema. The complete migration scripts are contained in the open source project and will be made available for download when the project goes to beta (projected for Q1-2008). Objective: create an open source remoting framework to communicate between Flex UI and Rails server without modifying any rails code. Solution: Rails restful scaffold resource generation. This library includes connection configuration, index, show, create, update, destroy classes that operate against a remote Rails site. The rails code can be generated using resource scaffolding and remain unmodified. Here is a live demo. It's a simple list/detail application that uses the remoting framework. Source code for the demo application is also available here. Using the framework is quite easy. Simply create a controller and register the rails host and services in your main application. Then, create handlers for the discrete service methods including query (list), fetch (show), create, update and delete. Custom methods can be created by extending RailsService and implementing the send() method. I'm currently updating the documentation with a step by step tutorial. So as a java engineer it does feel lightweight, especially after working with spring, hibernate and j2EE--but after working with rails for the past two years, I still feel like it's a bit heavy. But for someone looking for the best framework for Flex applications, PureMVC gets my vote. So why do I prefer none of the above? Well I'm not completely convinced, but I have a feeling that when a project gets to a usable size, the amount of registration for each command and value object would be overwelming. I also am more familiar with logic inside the controller as opposed to inside discrete mediators.